In the here and now of house and techno, a flux is taking place. The newest generation of souls possessed by the beat has never had a better chance to look back at the unbridled creativity and vitality of the 80s and 90s, and channel it into their contemporary creations. The gospel of Youtube and a wealth of mixes with convenient tracklists make it easy for the lazy artist to absorb what was great before and reflect it in their contemporary productions. This of course is of no concern for someone like Franck Roger. He was there in the beginning, and he never went away. In his years of service to the groove, he has evolved slowly and calmly, staying true to his fundamental sound without ever resting for too long. From his allegiance with Real Tone Records to commissions from such legends as Masters At Work, Franck has represented that most dependable and humble of talents; never following the hype or tapping into overused approaches in a genre that has been operating for more than thirty years. In all this time, Franck has only ever delivered one previous album, and so we are very proud at Circus Company to be bringing a seriously overdue long-player to light that embraces the classicism of a true house music great, while writing a new chapter in his on-going story. For sure, there are moments of heart-warming familiarity on ‘Extensions Of Yesterday’, and this is no more apparent than in the soulful croon of Franck’s long-standing vocalist of choice, Mandel Turner, on centre-piece track “Sands Of Time”. With a punchy, feel-good energy, the track explores the very idea the title of the album points to. There is an abundance of passion and pride for the good old days, but this is about bringing that feeling forwards rather than trying to go back to it. Away from these more flamboyant moments, the album moves into more searching, adventurous tones. There is a hypnotic, dubby sensibility to a lot of the tracks, as luxurious chords echo around unmistakable Roger percussion. You can just as easily find yourself roused by soaring techno visions full of empowering melodies, or subconsciously slide down into smoked-out boogie for the 21st century. 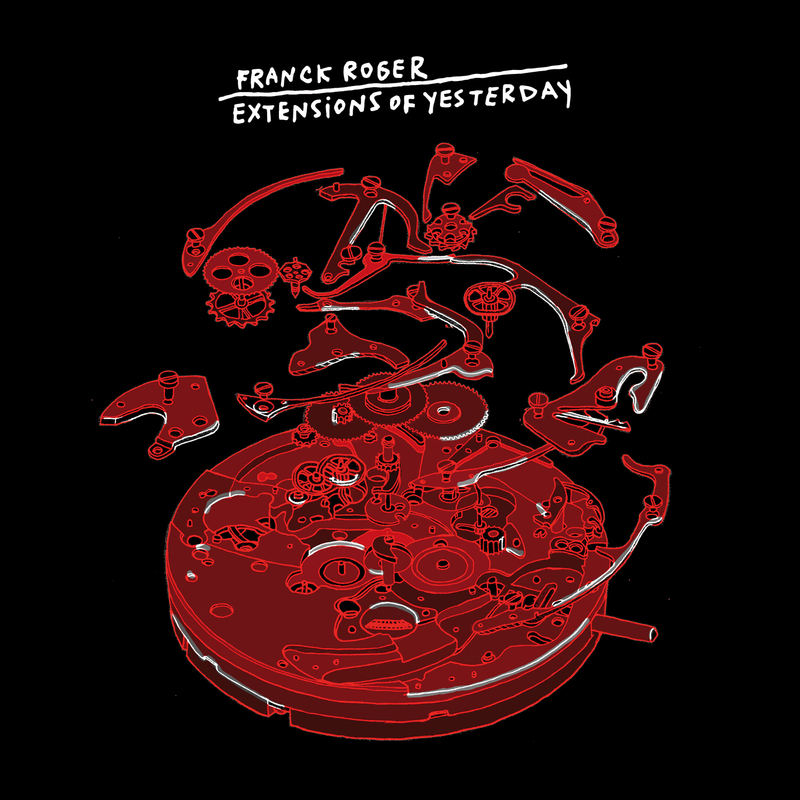 While all around him young upstarts attempt to define their sound through the achievements of their forefathers, Franck Roger strides forth with a maturity that can only come from one who has already done yesterday and now looks to the next logical step.